Ron Sayer's Chrysler Jeep Dodge has been serving the Idaho Falls area for over 70 years. We offer the very best customer service and the best selection of new vehicles in Southeastern Idaho. Why? Becuase we believe choice is a good thing. We pride ourselves in having Certified Sales Consultants who take time to get to know you and understand your needs. We offer a stress free sales process from the moment you are greeted to the moment you drive off the lot. 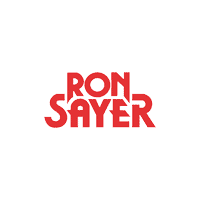 Come experience the Sayer Family difference today and see why the people of Southeastern Idaho have trusted us for over 7 decades. **Sale Price includes $1,000 finance cash available to those who obtain and auto loan through our dealership. Cash price will be $1,000 higher. **Conditional Sales Price includes qualifying rebates lease cash, trade in cash, chrysler capital finance rebate, conquest cash, and military cash. To see if you qualify call and speak to one of our Sales Consultants. There are more rebates available on select vehicles. Call to find out more details.